Plan for Memorial Day Weekend Now! 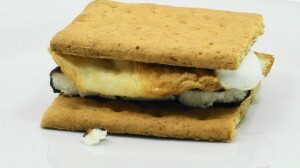 Plain Jane graham, a hot marshmallow and cool Peppermint Patty. A mint lovers dream! 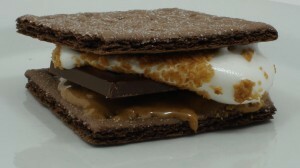 Chocolate grahams, toasted coconut marshmallow, milk chocolate bar and a smear of almond butter. Mmmmm! 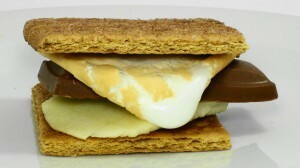 For these recipes and more, head over to ILoveSmores.com. Enjoy your summer!